There is more fear and misinformation about chemotherapy than any other treatment. Most of us have seen family or friends suffer horrendously. Thankfully – breakthroughs in genomic (DNA) diagnostics & screening tests can now reveal a patient’s suitability to chemotherapy (or not). By genomically targeting the treatment, outcomes are improved and suffering reduced. The whole truth and nothing but the truth: Some patients benefit from targeted chemotherapy (with few side effects) while for others it is unsuitable and may cause severe side effects. As well; in AU & NZ about 75% of patients will fail their first time chemotherapy. (when used without genomic tests). One of our patients called his experience the ‘chemo unlucky dip.’ Sad but true. Had they been genomically (DNA) tested these statistics could have been reversed. What’s the catch? The tests cost money! The government budget has limits. Genomics & Pharmacogenomics – 21 st Century game changers. Simply put – we can now measure if a targeted chemotherapy will work in your body – for your particular cancer – at its current stage. 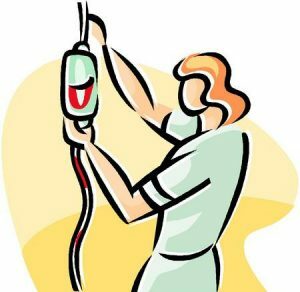 If chemotherapy is not suitable – other options will be considered – this is often the case. Blood based immune therapy (safer, more effective, no side effects compared to drug based immune therapy such as Keytruda, PD1 etc). While these particular breakthrough genomic tests are not yet used in most hospitals; we have assisted our patients to access such tests for years. Sadly – Many patients presenting to us suffer severe side effects caused by the interactions of their supplements, diet regimes and ‘complementary therapies’ (like coffee enemas). Many patients take upwards of 30 supplements daily with no regard for the interactions (your personal inner pharmacy) mentioned above. Click here to read more about the many herb-drug interactions that can increase side effects, undermine chemotherapy treatments and cause many other complications – even death.